As any modern country, Portugal offers a great selection of places to stay overnight according to different tastes and budgets. Those who like luxury and comfort – can stop in the heart of Lisbon in prestigious five-star hotels. Money-saving tourists can find a room among the so-called residential lodgings – a modest 1-2-star hotel or even hostel. However, there are special hotels in Portugal that attract thousands of travelers regardless of social or financial status. These are the so-called ‘pousadas’. Portuguese ‘pousadas’ are the hotels placed in former historical buildings. For example, it can be a castle, a fortress, a palace, monastery, temple or other centuries-old building which is impregnated with history and restored according to all requirements of the hotel design. So, check out 5 best pousadas, where anyone who plans an independent trip through Portugal, can feel like a king and enjoy the comfort and coziness. 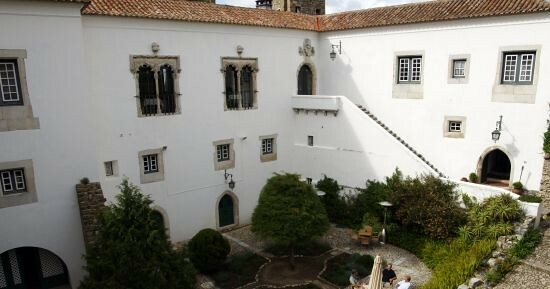 Situated in the medieval castle town of Óbidos, Castelo de Obidos was the first historic pousada. The Portuguese say that the Obidos originated from water and stone. For many centuries its walls served as a refuge for travelers from distant countries. On the windows and doors of the castle you can see the elements of the architectural style of Manueline, which is very popular in Portugal. There are only 9 rooms in Pousada do Castelo: three of them are double suites. However, such a small number of the rooms is more the dignity of the hotel than its disadvantage. The walls of Obidos keep by centuries-old secrets and stories. This city of kings and queens is famous for its architecture and historical value. In addition, Castelo de Obidos is extremely popular among tourists thanks to the annual chocolate festivals and Christmas towns for children. Those travelers, who like the endless sceneries of the hot Alentejo region, should definitely choose Pousada Estremoz located in the royal castle. At the turn of the XIII and XIV centuries, during the reign of Saint Isabella of Portugal, Estremoz became one of the major political centers of the country. 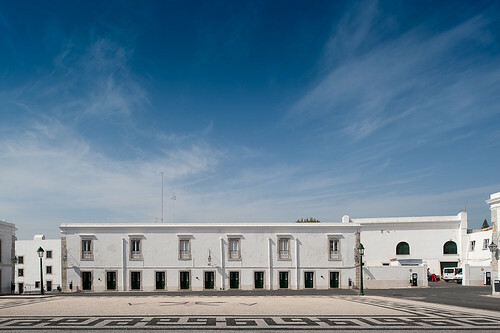 In the early twentieth century, the castle and a number of other objects of Estremoz were included into the list of national historical sites. 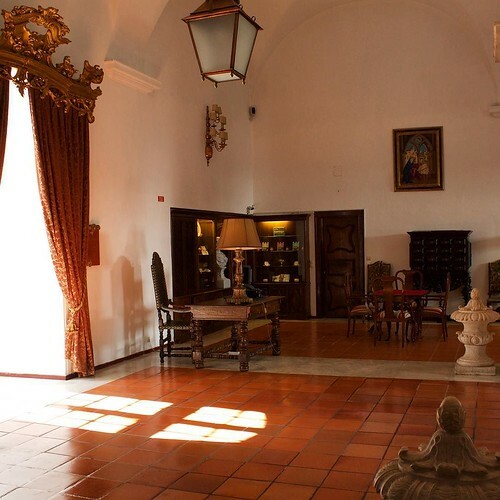 Nowadays, Pousada Castelo Estremoz is a real historical monument with antique furnishing, tapestries, porcelain and forged products of ancient times. However, not only the elements of the royal interiors but also the important components of a good modern hotel are at guests’ disposal: a luxurious garden, a swimming pool, a magnificent panoramic view of Alentejo plains. This amazing pousada offers 29 spacious rooms (plus one royal suite) with stunning interiors and antique beds. Opened in Cascais in 2012, Hotel Cidadela is a vivid representative of the historical designer pousadas. It’s placed in a fortress that served as an outpost for defending the entrance to the Tejo River estuary and protecting Lisbon from an attack from the sea. Since 1870, the citadel has been used as a royal residence, and it’s here the members of the royal family began to go to the beach and swim in the ocean for the first time. Modern interior of pousada, including restaurants, bars, indoor pool and business center, was designed by architects Gonçalo Brin and David Sinclair. The rooms have everything a modern person needs: air conditioning, multi-channel LCD TV, Wi-Fi, and much more. 121 suites available in Hotel Cidadela Cascais is not a joke: a great number of visitors staying there show the increased interest in this kind of hotels. Originally, Pousada do Porto was a palace built in 1742 by the Italian architect Nicola Nasoni, who also owns the construction of the Catholic Cathedral in Porto. In 1910, the palace received the status of a national architectural monument. 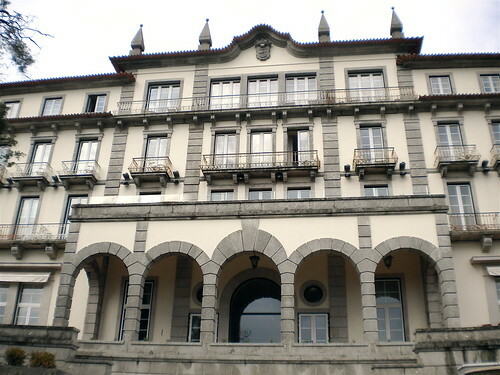 Pousada do Porto was opened in October 2009 and became the first pousada in Porto. It’s located on the banks of the Douro River. Pousada Do Porto consists of two separate buildings. Directly in the palace you’ll find a restaurant, bar and halls for conferences and ceremonies. 87 comfortable rooms are located on the territory of a former flour mill, built in the middle of the XIX century. 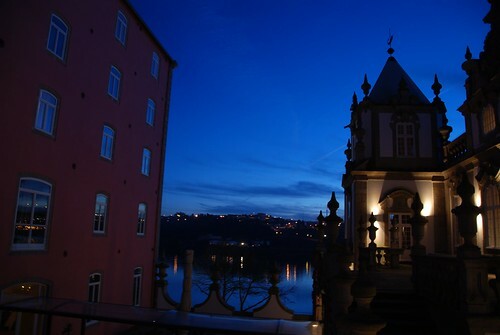 Pousada do Porto also offers a modern spa center, a heated indoor pool and a sauna. Luxurious Pousada Palacio Estoi is situated in the palace built at the turn of the XVIII – XIX centuries. 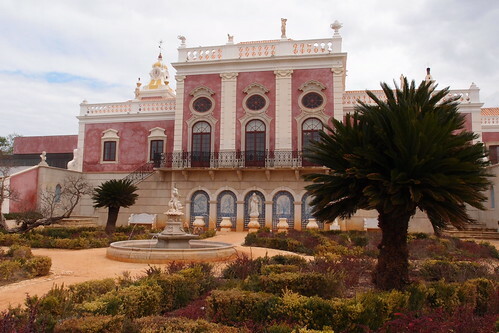 The palace is located just 12 kilometers from Faro, in a small village of Estoi. The former aristocratic residence has become popular among high-class travelers thanks to the famous Portuguese architect Gonzalo Byrne, who turned the palace into a beautiful hotel. Nowadays, Pousada Palacio Estoi offers 11 rooms, the amazing Visconde restaurant, as well as a fitness club with a sauna and a heated indoor swimming pool. In all the rooms there are balconies, where you can admire the magnificent views of Faro and the ocean at any time of the day. A special pride of the palace is a spectacular garden in Versailles style with orange groves and slender rows of palms. Pousadas is a great solution for those who want to find an exclusive lodging during a trip to Portugal. Moreover, it can become an ideal setting for celebrating a special event or a romantic trip. So, if necessary, you can find any of these amazing palaces by following the required address. It’s recommended to use Faro Airport car rental for a quick and easy searching.